This week the Times Tech, rolls back time to review the performance of a popular device, we delve into the specs that have made the “S7” the darling of many. 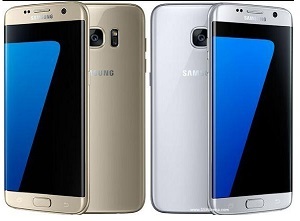 March 12 2016, the Samsung Galaxy S7 was released. Since the device has been on the global market for over year, we want to look back on the S7 Edge and how it has performed in the past 1 year. Many would expect a device to slowly die down as years go by, that is not the case with the S7 Edge, and the specs continue to amaze the users of the device. Let us rejuvenate our memories with the extraordinary features of the S7 Edge. Samsung phones are known to have top of the range camera that have the ability to take good-looking pictures. The S7 Edge’s capability of taking picture in lowlight makes your night-time shots look less misty and much more visible. There’s less graininess in the results too and you can pick out details that you wouldn’t have been able to before. The S7 Edge screen is beautifully curved with a customizable drawer, and an enormous array of new panels to play with. The Edge feature enables users to access additional information such as time and notifications that pop up on the device when the screen is off. With the 3600 mAh battery, users have a full day’s use, only if the device is over used; charging would be required in the late afternoon hours. The feature that comes in handy is; performance mode allowed in Android the 7.0+ on the S7 Edge. It allows users to optimize use for entertainment, games, high performance or extended battery life. There’s still no removable battery, but the S7 Edge does benefit from adaptive fast charging. You can get up to four hours of use from a 10-minutes head start and fully recharging in about 100 minute. The S7 Edge eliminates the hustle and bustle of tangling charging cables, with its wireless charging. Wireless charging is the easiest way to power your phone; it is really fast and effortless. The S7 Edge comes with an equally competent fingerprint reader that performs extremely well. Users can have important information secured on the device without fear of it being accessed by individuals who should not be privy to the information. The ‘Samsung Pass’ on the S7 Edge allows for an extra security that uses biometric data to helps secure certain information on your device. The curved edges and the overall glass appearance makes the S7 edge a sleek device.